Youth Music is funding Good Vibrations to run a series of immersive, day-long effective facilitation workshops for music and arts practitioners working with people in challenging circumstances. Their next one is on the 29th November 2017, and it’s a free workshop at York University. Immerse themselves in the experience of being a participant in a condensed, typical Good Vibrations course. Observe an experienced facilitator modelling a range of facilitation techniques and experience the impact on group dynamics and musical outcomes. Have fun and get the opportunity to get to know other practitioners working in challenging circumstances. Put on a performance and get to keep a CD of the music created on the day. 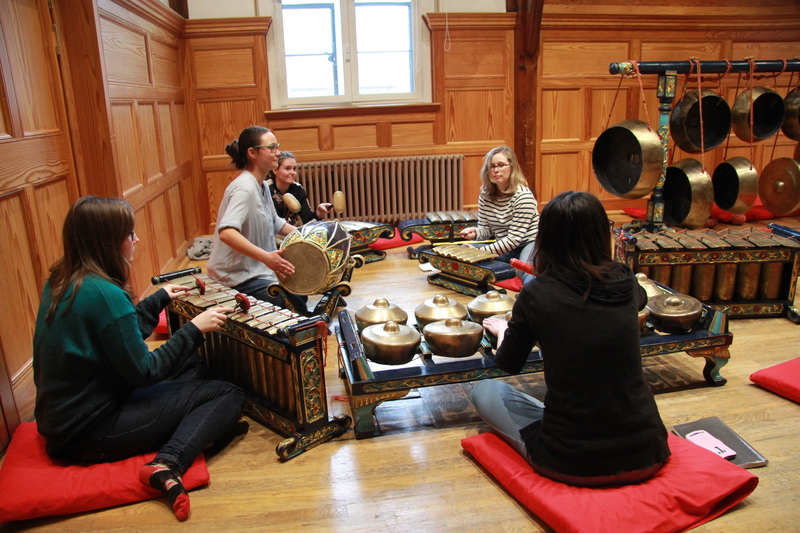 Learn a new skill – to play the Javanese gamelan orchestra! Be given new Royal College of Music research on Good Vibrations’ facilitative approach – the theory behind the experience. Come out feeling inspired about the potential of incorporating new facilitation techniques into their practice. Anyone wishing to register their interest should email malcolm@good-vibrations.org.uk ASAP, as places are limited to 20.